After Vincent Bugliosi left the LA DA's office he went into private practice. One of his cases was the defense of Stephanie Stearns who along with her boyfriend, Buck Duane Walker, was accused of murdering Mac and Muff Graham on an atoll in the Pacific called Palmyra. Originally the couple was arrested for stealing the Graham's boat not long after the Graham's had disappeared in 1974. It was not until the remains of Muff Graham were found in 1981 did the two eventually face murder charges. The two had separate trials with Walker having a public defender for his attorney. He was tried first, found guilty of the two murders and sentenced to life in prison. Stearns came from a more affluent background and her family hired Bugliosi to defend her. Stearns was acquitted. Bugliosi wrote the book And the Sea Will Tell after Stearns acquittal. This book outraged me and I know from having read a few comments at this blog that others here feel the same way. Any shred of respect I may have had for Bugliosi was completely gone. His ego absolutely screamed in the book and he was ever so pleased with himself that he was able to win an acquittal for Stearns. Recently I learned that the remains of Muff Graham were never claimed by her family and have never received a proper burial. Instead the remains have been at the FBI office in Hawaii and become a quasi teaching tool with Muff's skull being passed around during lectures. How sad is that? A retired Los Angeles public defender, Tom Bucy, discovered this while doing research for a book he has written on the Palmyra Atoll murders. He is now trying to locate Muff's family and return her remains to them. Stephanie Stearns is currently living in Hawaii. I found that Buck Duane Walker was granted parole in 2007. He moved to the small town of Willets in Mendocino County CA. He died in 2010. The story of Walker's death and a pretty good summation of the crimes appeared in the Willets newspaper. But how dare you criticize the man who saved us all from the devil? Really good piece of research here. Wonder why the parents didn't claim the remains? This post finally decides it for me that The Bug doesn't have an ounce of integrity in his body. Everything with VB is about himself and his career. I read the book years ago. Why does everyone hate VB so much? He became a defense attorney. He defends people who are accused of heinous crimes. Would you rather he had lost the case? He gets justice for the TLB victims and he's excoriated. He wins justice (although I think she was guilty) for Ms. Stearns and he's criticized. He's damned if he does and damned if he doesn't. Bugliosi apparently only had one-shot creative powers that he used up in the weaving of his fanciful helter skelter tale. And The Sea Will Tell is one of the most tedious books ever committed to paper. Watching beige paint dry is a more exciting experience. I loved the book although it was tedious at times. I know that defense attorneys exist so people get a fair trial but I also lost respect for the Bug after reading this. He always seems so self righteous and yet the Jennifer character he defended (real name Stephanie) acted so much like the "Manson" girls and yet he pretends to believe in her innocence. It is a crazy story and I will totally read anything else I can find about this case. Thanks, Deb for the new info. Ha Ha Ha .... The Bugg, Saviour of Mankind !! Bug's book on the divine should be canonized into the apocrypha, no? Heidi you touched on something that bothered me about the book. Bugliosi did change Stephanie Stearns' name to Jennifer Jenkins in the book. It's too bad he didn't do that for some of the people who were associated with the Family but had committed no crimes. He branded many of those kids with an X just as if Manson himself had put an X on their foreheads. If Bugliosi had believed in Stephanie's innocence I think he would have named her if only to highlight that she played no part in the murders. I think all he cared about was winning the case. There was a TV movie based on the book starring Rachel Ward as Stephanie/Jennifer and Hart Bochner as Buck. I remember the movie fairly well and it didn't put Jennifer in a good light. I think it intimated that she was guilty. I remember watching it and I believe Richard Crenna played Vince - bizarre casting to say the least. Especially since Martin Short was probably available and would've been a much better fit. I have always wondered the same thing, CarolMR. 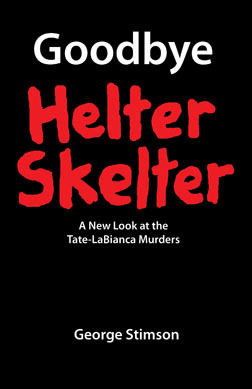 Leslie Van Houten has talked about Helter Skelter at her hearings, and said she believed in it, so Bugliosi was not the one who made that up. He didn't pull that theory out of thin air, and he helped put some extremely dangerous people behind bars. Who knows how many more people would of ended up dead. Just saying. . . .
Mr. Bugliosi has admitted: (read Death to Pigs) that Watkins, Poston and Jackobson gave HIM the idea for Helter Skelter. NONE of their knowledge of the facts gave THEM the idea that any of the MANSON Family were involved in the Tate/LaBianca Massacre, but Bugliosi put their pieces of info together in such a way as to reveal HEALTER SKELTER to be the actual motive. 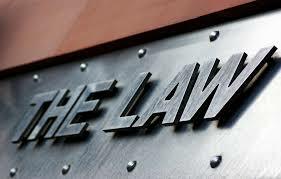 This practice has been a prosecution tactic FOREVER and provides for a way to create great entertainment. How else are you going to keep a dozen NON-readers awake during months of otherwise boring testimony ? AND without Bugliosi's HS Armageddon story line, there would be NO "MANSON" movies and NO MANSON blogs today. Now, isn't that enough reason to KEEP Helter Skelter ALIVE and a bunch of OLD dirty, smelly Hippi-like characters locked -up FOREVER ? AND what about ALL the friendly "pirates" who post "MANSON" on the internet illegally? Without "MANSON" THEY would have NO "friends." Of course, IF you give 98% of the people FANTASY for FREE, they will NEVER pay for the TRUTH. Mr. 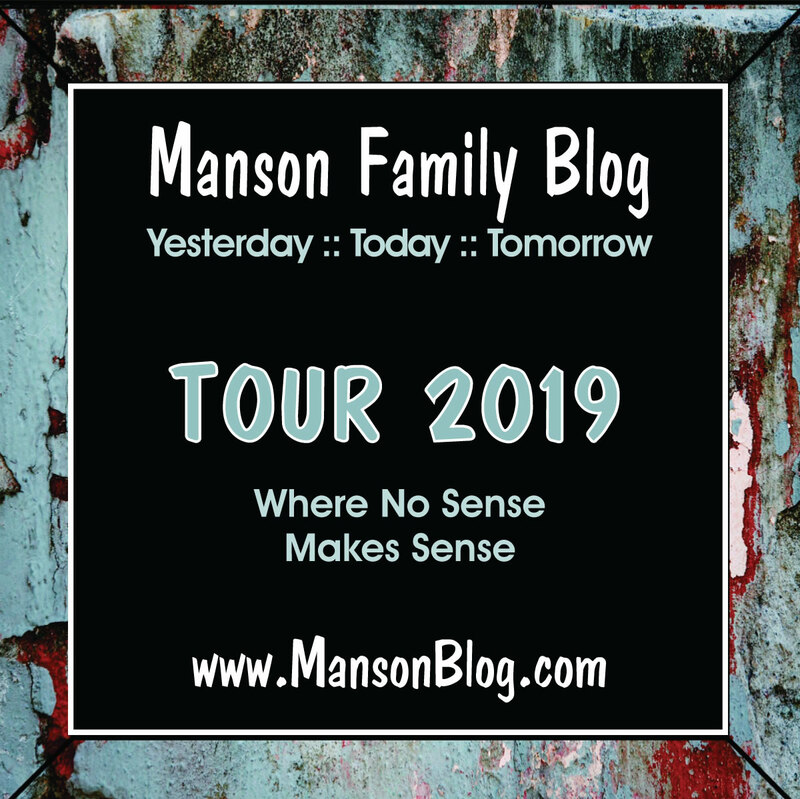 Hendrickson.....If you give us MORE "Manson" I would GLADLY pay! I too would pay for anymore books or discs Mr. Hendrickson. I have mentioned this book millions of times!! Its awesome! Bugliosi can really write. And when you read it, you have to ask yourself the question: what if the Bug had been the Family defender? could he have got them acquitted? Because their own team sucked, maximum. Daye Shinn, made no objections did no sustained cross except to find out where the Atkins money had gone, because he was getting half. Hughes, brand-new and dirt poor, Fitzgerald...well, not much cop. The Bug: brilliant, driven, so hard working...and this case was, like, apparently open and shut...but give it to the Bug.. I would like to ask him: if you had been the Family defence lawyer, what would you have done? Cant agree with JC. It isn't remotely tedious. What it is, is detailed. By modern standards, where everything is written in short paragraphs for the Facebook attention span, it might seem hard, but it was written in the days before that. It is brilliantly put together and examines this strange Palmyra place...weird, these people who make a dangerous journey to live on an abandoned Seabees base in the middle of the pacific and survive on coconuts. Muff’s mother was in her 80’s when Muff went missing. She possibly could’ve passed away before Muff’s remains were found. Reading this book, I thought Sephanie Stearns was a total nut case, not all there, and a pathological liar and a bit of a psychopath....I mean to get with someone like Buck Walker in the first place, you'd have to have something missing upstairs, and living with someone who had a penchant for guns, and someone obviously living on the wrong side of the law. I think she was a criminal just like him and knew what was going on but managed to fool others. Seems like she could lie just about every time she opened her mouth. And all those aliases. She's a fraud and knew how to feign innocence, goodness and sweetness....the devil in disguise. My ex husband knew her and introduced me to her many years ago and she creeped me out so badly I was freaked out and crying and couldn't wait to get away from her. Just a very, very black, dark souled person. It's like I could sense she had been involved with something really, really evil.